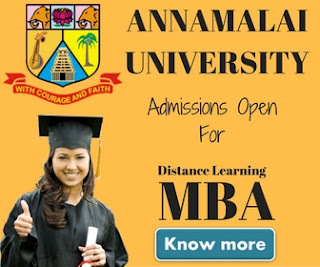 AIMA Distance Learning MBA 2019: AIMA offers 2 years distance learning MBA (Post Graduate Diploma in Management) programme, designed for working executive, fresh graduates & middle-level managers. The programme has been divided into four modules and supported by eLearning. AIMA PGDM is Approved by AICTE, Ministry of HRD, Government of India and also approved by joint committee of DEC – AICTE – UGC. The programme is the best fit for working professionals who want to climb the ladder of the corporate world. 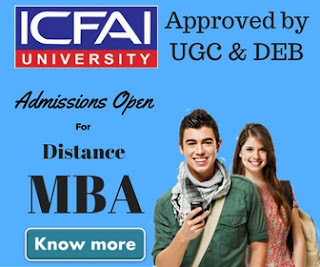 AIMA distance learning MBA is also helpful to fresh graduates who want to grab a job. The programme is designed to develop conceptual knowledge and behavioral skills in students who continue to work in the industry, government or other organizations. The maximum duration to complete this course is 6 years. Students who join this course also get a Free AIMA membership, library facility, Benefits from AIMA’s Placement support services, All students also get study material from AIMA. There are four modules in the AIMA Distance Learning MBA programme. The 1st,2nd & 4th modules are same for everyone. In 3rd Module, someone has to choose a specialization among mentioned below. Candidate must have at least 50% marks in graduation to take admission in AIMA PGDM course. If a candidate has a score of less than 50% in graduation, can take admission in AIMA Distance Learning MBA on the basis of MAT/ CAT/ XAT/ ATMA / any other state-level test. If a candidate neither has a 50% score nor has appeared in above-mentioned course but wants to take admission in the MBA programme, can appear in MAT conducted by AIMA four times in a year. The total free for AIMA Distance Learning MBA course is Rs.115000, which has to be paid in four installments. Like in regular MBA programme, all students who have joined AIMA distance learning MBA course are required to submit a project report in order to complete their MBA programme. The project work has to be done in 4th Semester. Project work is the best way to judge yourself on what you've learned during your MBA. The final PGDM certificate will be awarded at Convocation. The All India Management Association (AIMA) is an apex body of management education in India. The body was formed in 1957. AIMA has established close linkages with over 3000 institutions and over 30,000 individual professionals directly and through a network of the Local Management Associations. Hope you must have liked our today's article on AIMA Distance Learning MBA 2019. We've tried to make it short and to the point.